Was there a Pop-Up this year you missed out on? Want to let off some steam before finals? 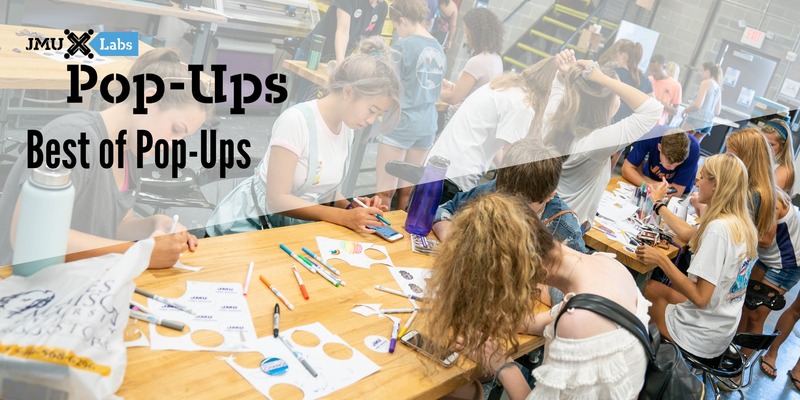 Don’t miss your last chance to take a Pop-Up at JMU X-Labs! We will be bringing back some of our favorites including welcome mats tote bags, eye masks and of course, buttons! Supplies available at a first come, first served basis. Questions? Email [email protected].